I found this in my archives and cracked up at the irony. I’ll let you know how my own wedding reception (which I refuse to call a reception. LOL) goes when I get round to getting married. I’m still very finicky about wedding receptions but since writing this eons ago, have discovered that some of them are out of this world fun. Just depends who’s getting married! Must have just returned from a disastrous reception when I wrote it so read with a pinch of salt! Lol. Everyone around me is getting married and exciting though it is, I’m reminded of why I hate wedding receptions so much. Yes, I am not a fan of weddings. Not unless it’s a destination wedding. I love travelling and have a long list of places I want to visit. If you really want me at your wedding, do the deed as far away as possible. You want to drastically slash numbers? Pah! Go as far away as possible, I’ll be right there waiting for you. You can’t slash me! Anyway, back to the topic at hand; why I hate wedding receptions. Guests arrive and wait a million years for the couple to turn up, all the while, slowly dying of starvation. The couple finally show up but before they can enter the venue, both sets of parents must spend at least 30mins dancing to their seats. Why they never do that while we’re sitting and waiting, I know not. Couple finally dance into the venue and this bit I must admit, can be fun. They take their seats and then some MC who rates himself quite highly on the comedy scale takes the mic and dulls the crap out of us. Just as your brain cells are beginning to dry up, the chairman of the occasions takes the stage. He collects all the drying cells, arranges them in a neat pile and crushes them with the soles of his feet. Only then do the gods feel sorry for you. The smell of jollof rice fills the air. A hostess stops you as you attempt to rise up from your seat. Otherwise, you have to haul your behind up and stand in line to get served. By the time you get to the front of the buffet queue, all the good stuff’s gone. All you’re left with is a few grains of cold jollof rice, an anorexic chicken drumstick and a few squares of shrivelled up plantain. You really should have gone to McDonalds before coming. You’re so hungry you’re grateful for whatever is left and you wolf it down like a starving urchin. Somewhere in the recesses of your mind, you register that the food is crap and you bank the knowledge for a day when you are well fed and gossiping with your girlfriends. A couple of friends give mildly funny speeches and the bride’s sister balls her eyes out as she proclaims her love her irreplaceable sister. You’d think the poor bride was suffering from some sort of terminal illness. (No Imeme, I’m not talking to you. Muhaha). Okay okay, I’ll be honest; speeches are one of the few things I like about wedding receptions, even the emotional ones. You need a few tears shed at a wedding to make the day that bit more poignant. Just as I’m managing to convince myself that it’s not been such a bad reception, some strange aunty wheels out the wedding cake and annoys the crap out of me by insisting the bride has to kneel and feed her husband. Sure aunty, why not insist she spend the rest of her life crawling after the man? The bride and groom take to the dance floor for their first dance and this bit is dicey. They have the power to either redeem my mood or send me plunging into the abyss of manic depression. By the time the party starts, I’m so out of there. That’s if the bride and groom failed that pivotal test. If they succeeded, you’ll find me dancing off my sorrows… assuming Mr DJ doesn’t fall my hand! 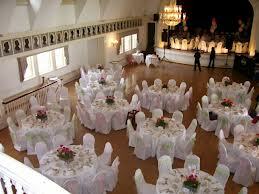 I enjoyed your observations on wedding receptions. You are funny and warm. Because I am assuming English is your second language, I am even more impressed with your vocabulary usage which includes your overall fluency with the language.